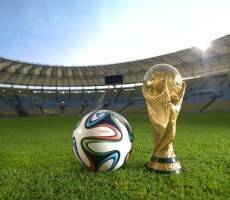 With the World Cup now underway, many football fans will be gripped with football fever over the next month, but employers could face HR headaches as a result. Given the time difference in Brazil, games at this year’s World Cup will take place during the late afternoon and evenings in the UK. England’s opening game against Italy at 11pm this Saturday night is unlikely to cause most employers much disruption, but the next England game against Costa Rica which kicks off at 5pm on Tuesday 24 June could result in employees wanting to leave before the end of their working day. Late kick off times also have the potential to result in employees being absent the following day as they recover from the excesses of the night before. On most match days the final whistle of the last game of the day will not be blown until around 1am UK time. What measures can you take to prepare for this? Remind staff what is expected of them in terms of requesting holiday and reporting sickness absence, and that unauthorised absence may result in disciplinary action. Be flexible if employees want to watch the matches – this could include allowing staff to leave an hour early to watch a particular game provided that the time is made up elsewhere. Consider screening key matches during working hours to counter multiple full or half day absences as well as boosting workplace morale amongst employees keen to watch the big game. Absenteeism might not be the only issue that employers face during the course of the World Cup. It may be that employees attend work under the influence of alcohol the next morning after watching a late game. Others may spend work time searching the internet to follow games online or to check for injury news. It is worth reminding employees of the general disciplinary rules in place regarding behaviour at work before the tournament starts and if any misconduct issues arise during the World Cup you should deal with these in line with your usual disciplinary procedures in a fair and consistent manner. Whilst patriotic support is all part and parcel of a World Cup, employers need to be wary of enthusiastic support of one national team spilling over into inappropriate taunting of others. Given the multi-cultural society in which we live, businesses will have employees from a variety of nationalities and will therefore need to be aware of the risk of patriotic banter being deemed as race discrimination or harassment by some employees. Employers will be liable for unlawful discriminatory conduct committed by their employees in the course of their employment, unless they can demonstrate that they took reasonable steps to prevent the discriminatory act from occurring – such as having an equal opportunities policy in place and training employees on such issues. Again, a reminder to employees of the standards expected in the workplace and how they can raise concerns through the grievance procedure will stand employers in good stead for defending any potential claims of discrimination which may arise. With this being yet another summer of sport many of the above issues will arise during other tournaments as well, such as the test series and US open, Wimbledon and the common wealth games. Employers who plan a consistent approach to such events are likely to get the most out of their employees in the coming months.